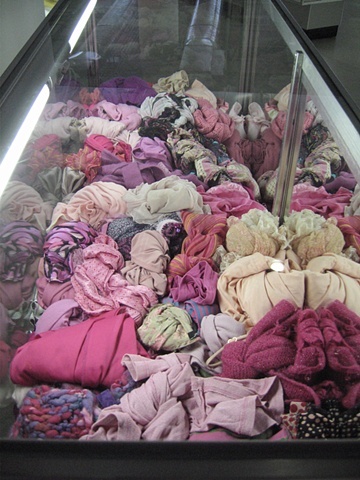 "I'm (not) a Pink Girl" is an installation featured in the Department (Store): A Collaboration with J. Morgan Puett Exhibition at the Sullivan Galleries, Chicago, Illinois. Garments are turned inside out. Twisted and contorted, and packed down tightly.